A vote by the Seattle City Council may put the city more on par with Portland, Oregon, in terms of food waste recycling. The Seattle City Council unanimously passed a new rule Monday governing what residents put in your garbage bin. 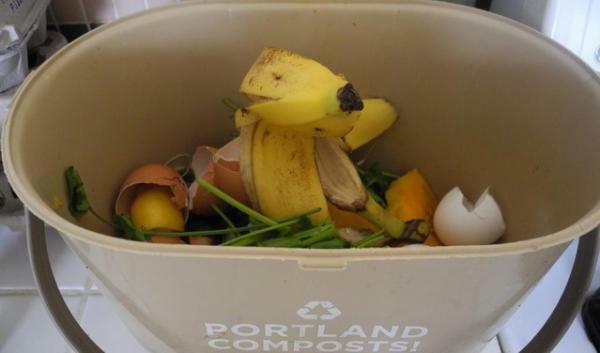 The idea is to increase the amount of food scraps going to compost. Council member Sally Bagshaw said promoting this practice could reduce up to a third of Seattle's waste ending up in landfills. "So if we just get ourselves into the mindset of, Ok, we're going to recycle our bottles, our papers, our cans, just as we've been doing for the past 25 years, and now we're going to compost the stuff in your kitchen, really easy to reduce the amount of stuff that's going to a landfill," she said. Under the new rule, garbage haulers can ticket bins that contain 10 percent or more of food waste. Single family households would be fined one dollar on their bi-monthly bill if they exceed that amount. Owners of multifamily buildings will face a fine of fifty dollars after the third violation. Bagshaw's office says the city of Seattle sends 100-thousand tons of garbage to landfills every year. The new law is aimed at helping Seattle reach its goal of having a recycling rate of 60 percent by 2015. The change is expected to generate an additional 38,000 tons of compost material every year. San Francisco also has a mandatory composting ordinance. Collectors will begin tagging garbage bins with warnings Jan. 1. Fines start until July 1. Seattle Public Utilities asked the council to consider the ordinance because the agency is falling short of its recycling and composting goals. The council vote was 9-to-0. No public hearing was required. Copyright 2014 ERTHFX. To see more, visit .